Nos universités partenaires vous proposent des cours d'été à l'étranger ! Qu'est-ce qu'une Summer School ? Les Summer Schools sont des séjours courts organisés en juin, juillet et août dans une université partenaire. 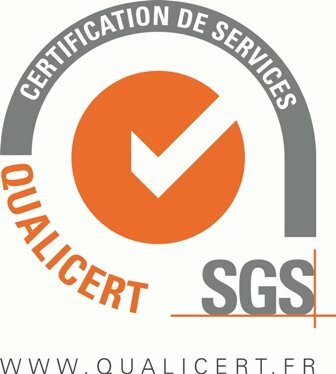 Ils sont ouverts aux étudiants de TSM de la Licence 1 jusqu'au Master 2. La langue d'enseignement est principalement l'anglais. Pourquoi partir dans une Summer School ? Pour découvrir ou approfondir un thème qui vous intéresse. Pour avoir une expérience à l'international. Pour profiter d'activités sociales et culturelles dans un nouveau pays. Pour recevoir des enseignements de professeurs internationaux. Vous souhaitez intégrer une Summer School ? Des bourses sont disponibles pour les étudiants de licence à TSM. Les sélections auront lieu courant juin. réaliser un court entretien en vidéo différé via l'outil Easyrecrue. Cet entretien servira à évaluer le niveau d'anglais du candidat et sa motivation. TUM- Technical University of Munich- "Sustainable Entrepreneurship"
Prerequisite: Participation requires a (nearly) successfully completed Bachelor’s degree with very good grades and a clear focus on business administration and economics. All of the Summer School courses are offered in English, so very good English skills are considered essential and do not need to be documented separately. Course fee includes: course participation, all course materials and other documents, excursions and presentations, a certificate. Social activities fee includes: organization of and participation in social activities, guided tour of Ingolstadt, excursion to Neuschwanstein Castle, including tour and lunch, transportation to the organized program activities, food during group social activities, help finding affordable accommodations in the area. Prerequisite: Anyone who wants to learn the German language and culture. We offer courses for absolute beginners and other courses for participants with good to advanced knowledge of German. Accommodation: from €20 per night to €90 per night, depending on the type of accommodation you opt for. Extra Information: Fee includes course material, coffee breaks, farewell dinner and social activities. Does not include lunch, accommodation or travel costs. Extra Information: All fees include refreshments during coffee breaks, course materials, lunches and receptions & social activities. Does not include housing or transport between Antwerp and Paris. Accommodation: Accommodation is not included in the registration fee but we advise you to stay at Irish College (a 5 min. walk from the course venue). Level of studies: Master and post graduate students. Language requirements: Courses in English. No test needed. Level of studies: L2 or L3. A minimum GPA of 3.0 or a B+ grade (equivalent to 7.0 in a scale from 0 to 10). Language requirements: Good level in English. No test required. Language requirements: Good level in Spanish. No test required. Tallinn University: "Information and Knowledge Management in the Digital Environment"
"Social Entreprises: Using your Creativity and Sensitivity"
Accommodation: Tallinn Summer School arranges accommodation for foreign participants. The booking for the student hostel goes through Tallinn Summer School. Once you have filled in the registration form and chosen to stay at the hostel, a place will be booked for you. You don’t have to make a separate booking yourself. Extra Information: Accommodation and meals are not included in the price. Level of studies: Undergraduate or graduate-level university students who are over 18+ years old. Language requirements: English. No Japanese language profiency. Fees: 150,000 JPY (approximately €1,200) Costs covered by the Program Fee Tuition fee, transportation and fees for field trips/activities in the program, transportation and accommodation (one night) for Traditional Japan field trip in Nikko, and welcome/farewell parties. Accommodation: Housing is not owned or operated by ITAM but the International Office will make accommodation arrangements individually with each student. For informational purposes only: *Fully furnished residences within walking distance of ITAM are approximately US$370 for a private room with share bath or US$ 500 with private bath per month. Varied options are available and prices will depend on the student´s choice of residence. VISA REQUIREMENTS Students are advised to check with the Mexican consulate in their home country regarding visa requirements before departing to Mexico. At the time of this writing, it is possible for US, Canadian and citizens of the European Union countries to enter Mexico on a tourist visa, as long as their stay totals less than 180 days. MEDICAL INSURANCE All participants must have proof of medical insurance coverage valid in Mexico. Proof of coverage must be submitted before the first day of classes otherwise the students will not be allowed on campus. Accommodation: Most Maastricht Summer School students stay at the International Student Guesthouse of Maastricht University. The room rates per night vary from € 12,50 to € 22,10. Please note: The room rent excludes the € 35 registration fee for Maastricht Housing. In return no cleaning costs will be charged. You will need to bring your own towels, bed linen will be provided. Language requirements: English proficiency needed but no test required. Accommodation: Not included. Please see website for affordable housing options. Fees: 1,200 USD (approximately €1050) Fees include the official transcript, visit to enterprises and cultural activities. Fees: 850 USD (approximately €750) Fees include the official transcript, visit to enterprises and cultural activities. Language requirements: Good command of English. No test required. Fees: €620 Early bird, €670 Course, accommodation, breakfasts and events are included. Language requirements: All the courses will be taught in English; therefore, good written and verbal English language is required. It could be proof of English, an English Language Certificate based on a qualification achieved like IELTS, Cambridge or any other similar exam with a score that could proof that the person has enough level of English to communicate with sufficient level, both written and verbally. Fees: £1250 GBP (approximately €1390). Discount available for partner universities. Extra information: A 5-day meal plan can be purchased for £75 GBP per week. This will be a voucher to use on campus for breakfast and/or lunch and a supermarket voucher. Language requirements: Courses in English. No test required. Fees: $150 USD per credit (approximately €130) $177 USD per credit (if participant takes less than 3 ECTS credits total) (approximately €155) Online processing fee: 3000 RUB (approximately €40) 20% discount for partner universities Programme fee covers: tuition, visa support, social events and at least one sight-seeing tour. per 1 ECTS (if you take less than 3 ECTS) 13000 Rub (175 Euro) The fee covers tuition, study materials and introductory cultural activities: boat trip and welcome dinner, guided walking tour, evening of cultures. Accommodation costs, everyday transfers, meals and optional city sightseeing tours are not included into the fee. Fees: 30,000 Thai Baht (approximately €800) Fees include all lectures and visits, handouts, lunches and dinners as indicated in the program, local transportation, return flight Bangkok - Chiang Rai. Pour davantage de renseignements sur les pays qui vous intéressent et pour trouver des conseils par destination, rendez-vous sur le site de France Diplomatie !